Donation Process | Cordblood banking - Secrets of stem cell technology revealed! When a mother decides to donate her child’s umbilical cord blood she should firstly look for a cord blood bank in her community. In the event that there is not a local bank, there are a number of National Organizations that can help you donate. The cord blood bank will then ask the mother to complete a consent form and a health history questionnaire, as well as a small blood sample. 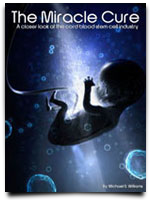 The cord blood itself is collected after the baby’s birth. After the birth, the details of the donation will then be entered into a National Registry, which is available for Doctors to help find a match for their patients who need a transplant. Collecting cord blood poses no health risk to the mother or infant donor. The cord blood is collected after delivery and would normally be discarded. The cord blood is stored only with the mother’s signed consent, and no collection is made if there are any complications during delivery. After the baby’s birth, the umbilical cord is clamped, breaking the link between the baby and the placenta. Trained staff drain the blood from the umbilical cord and placenta. Methods vary somewhat at different hospitals. 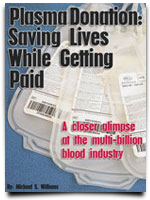 The blood is usually collected using a needle to draw the blood into a blood bag. The collection usually takes ten minutes or less. On average, about three to five fluid ounces are collected from the umbilical cord. If the amount is too small, there will not be enough stem cells to be used for transplantation and the cord blood unit (CBU) will not be stored. CBUs that do not meet the criteria for transplant may be used by researchers in the search for new and more effective medical uses for cord blood stem cells. The collected cord blood is taken to a laboratory where it is tested and processed. It is firstly tested for signs of infection or other possible problems. Clean samples are then tested to determine the HLA type, which is then listed on the National Registry. 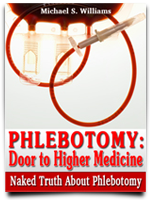 Often, the red blood cells and plasma, which are not needed for transplants, are removed so the CBU takes less storage space. If the CBU meets eligibility standards, it is then stored in a plastic or vinyl bag in a liquid nitrogen freezer. It can be stored for a long time. Studies have shown good cell recovery after up to ten years of storage. The cord blood bank always gets the mother’s written permission before banking the cord blood. The mother is also asked to provide a blood sample for infectious disease testing and to fill out health history forms. All information that would identify the mother or infant donor is kept confidential at the cord blood bank. The mother will be informed if tests performed on a sample of her blood or the umbilical cord blood show information that may be important for her or her baby to know for health purposes.